These tasks include routine home maintenance, such as painting, yard work or weatherproofing, or more advanced projects. Clients in need of home maintenance or small repairs are matched with volunteers to perform needed tasks. 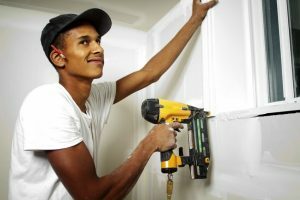 These tasks may include routine home maintenance, such as painting, yard work, and weatherproofing, or more advanced projects. We partner with a variety of organizations throughout the year. 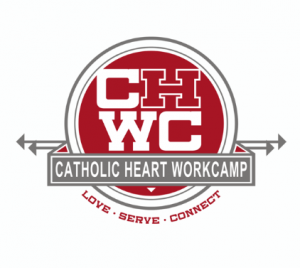 In addition, we are proud to partner with the Catholic Heart Work Camp each summer. CHWC’s mission is to revitalize communities and beautify the homes of the elderly, disabled, and those who cannot afford repairs. Their goal is to inspire residents to “take up this cross” and serve the local community throughout the year. To learn more about CHWC, click on the logo. If you have home repair needs, please call the office at 314 961 5082. If you would like to volunteer your time to assist with some repairs, please contact the office at 314 961 5082.